The idea of a counterbalanced putter appeals to me. I have tried a few and found each helped my putting so I was positively inclined starting on this test of the TaylorMade Ghost Spider Si putter. Counterbalanced putters are a possible alternative to broomsticks and belly-length flatsticks that will soon disappear (at least in competition) because of the USGA ban of anchored strokes. I also like the looks of the Spider Si major-size mallet design though most would have to say it’s certainly somewhat unconventional…even maybe far out. 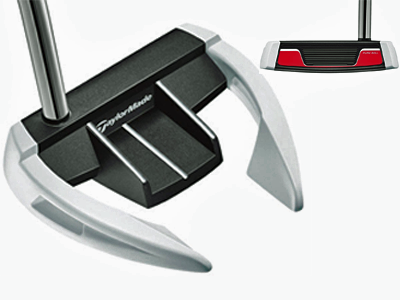 A year ago TMaG introduce their fi rst counterbalanced model, the “Daddy Long Legs” and the “Spider Blade” putters. Both had a much heavier weight at the grip-end to increase the resistance to twisting of the entire club and promote a consistent “on path” stroke. But there’s also another bit of back story with putters like the Spider Si that have a very high twisting resistance technically known as moment of inertia or MOI. Jack Nicklaus at the age of 46 won the 1986 Masters, his eighteenth career major, using the MacGregor Response ZT 615 made for him by master club craftsman Clay Long. It had an extremely large clubhead and for the time a very high MOI, hence the ZT as in “Zero Twisting.” Nicklaus’ win with the Response set off a frenzied excitement for the putter and in the next year MacGregor sold 350,000…their marketing forecast had been 6,000. 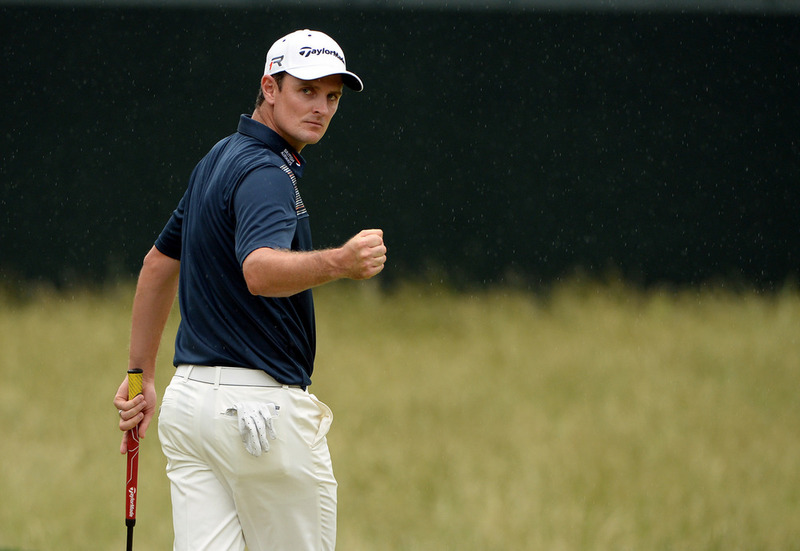 The Response however wasn’t counterbalanced and winning a major using a high MOI counterba lanced putter was left to Justin Rose when he took the 2013 U.S. Open with a TaylorMade Spider Blade. Interestingly, as with the current test with the Ghost Spider Si, proper fitting of Rose’s putter required a shaft two inches longer than normal so that it extends above the hands. In my ten rounds I made a lot of good putts. Did everything go in? No, but a truly poor putt, either line, distance or both, was extremely rare and by the fourth or fifth round were nonexistent. Using the Ghost Spider Si three very important things were apparent from the beginning. It’s very easy to line up. The lines on the crown and the massive head size give the user a great visual over the ball, something which is of course vital to confident putting. The best putting stroke to use with a putter such as this with its 380-gram head and 15-inch, 130-gram grip is what putting expert Frank Thomas describes as the “lock and rock.” All shoulders and large muscles taking the hands out of it thus eliminating for most of us a large portion of the errors in our strokes. Lastly, the Spider Si struck the ball solidly almost every time and since the lock and rock stroke is a classic pendulum motion, the ball’s speed and line are the result of it just happening to get in the way of the head. 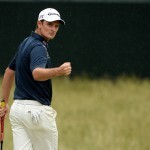 The ball’s not “hit” but stroked which produces similar results to the broomstick and belly putters soon to be banned. My recommendation is if you are using anchored putter and want to comply with the USGA ruling or if your stroke is plagued with twitches and jerks the Ghost Spider Si is an excellent way to solve your putting problems…it taught me a lot about my stroke and how to make putts.